Munich, February 3, 2017—In support of World Cancer Day 2017, which aims to bring global attention to cancer, Brainlab, a leader in cancer-fighting technologies, raises awareness about metastatic brain cancer and the revolutionary new methods being used to treat the disease. According to the World Health Organization (WHO), 14 million new cases of cancer are diagnosed every year, with that number expected to rise by 70% over the next two decades. Cancers of the lung, breast, skin, colon and kidney present the highest risk of metastasizing to the brain. As treatments improve, in combination with early detection, cancer patients are living longer, resulting in higher incidence of brain metastases, according to the American Brain Tumor Association (ABTA). One of the most prevalent procedures for treating multiple brain metastases is whole brain radiation therapy (WBRT) despite increasing evidence that WBRT can lead to significant cognitive side effects and the existence of alternative, less severe treatment options for the majority of cases. New developments in stereotactic radiosurgery (SRS), however, have shown effective, time-efficient means to treat multiple brain metastases while preserving cognitive function. “Why continue using a treatment approach like WBRT that can result in the significant, long-term, irreversible side effects of memory loss, dementia, when with a carefully constructed clinical approach of radiosurgery in close and careful follow-up, the outcomes are comparable,” commented Dwight Heron, M.D., Radiation Oncologist at University of Pittsburgh Cancer Institute & UPMC CancerCenter. Brainlab strives to increase access to and consistency of radiosurgery treatments. The Novalis Radiosurgery program is now available in over 430 hospitals worldwide. With Novalis Certified, Brainlab promotes the safe and effective delivery of radiosurgery through rigorous audits of these Novalis Radiosurgery sites by an independent expert group. These thorough reviews include examination of training and qualifications, quality assurance, policies, procedures and clinical protocols to help ensure that facilities offer high quality, consistent treatments to their patients. To learn more about Brainlab radiosurgery, visit brainlab.com/radiosurgery-products. 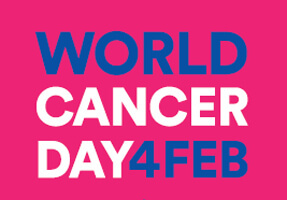 For more information, visit worldcancerday.org.